Perfect for fans of Rachel Gibson, Susan Mallery, Victoria Dahl and Susan Elizabeth Phillips. I fell in love with Williams’ City Love series right back when I first read The Boyfriend Sessions. There is so much to admire about this series, not just the captivating and fascinating characters, but the way Williams explores female friendships, romance, and tells a story about the complexity of life and emotions all within an intricate and humour filled narrative is absolutely divine. 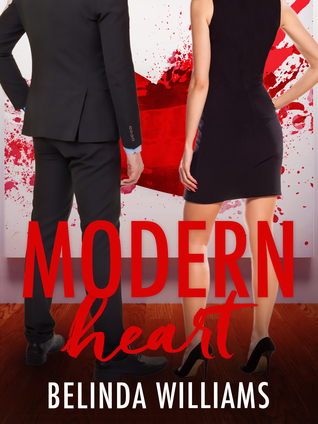 Modern Heart is the third book and focuses on Scarlett Wong, an artist who isn’t afraid to have a good time, but isn’t looking for a relationship of any kind. She speaks her mind but she also has hidden secrets and a painful childhood that she chooses to leave locked up. In past City Love stories Scarlett has come across as cold and judgemental, but getting to see things from her point of view allows a better insight into who she really is. Scarlett keeps a lot to herself, she holds in emotions, puts on a tough exterior behind sarcastic comments and cynicism, but it is not all an act. Her tough childhood and critical parents have added to her seemingly cold nature. The walls she has built up over the years have stood fast, and it is only now that they are starting to crack. Seeing Scarlett address her fears and insecurities was amazing, Williams positions you inside Scarlett’s head beautifully so that you become a part of her, her own uncertainties and struggles feel like our own. It’s hard not to fall in love with this group of women; they are close friends and help each other out, offering great advice, honesty, and tough love when it is needed. Each of them have a different kind of relationship with one other and different histories, and seeing these explored further was wonderful. Scarlett is not an outsider per se, but she keeps herself apart from the others a lot of the time. Seeing her form deeper connections and bonds with people who have previously been more or less friends of friends is sweet, and when secrets from her past and hidden details she has only shared with a certain few come to light it only makes these relationships stronger. The romantic aspects are balanced perfectly, not overly romantic and not just focused on the sexual tension or “that chase”. John is cheeky and smart, and his good nature is a great contrast for Scarlett’s. The romance is real and natural, growing from friendship to something more, with just enough spark between Scarlett and John to make them ideal for one another and make you want them to be together. The connection between John and Scarlett is more rewarding, and seeing him help to open up to people and lower barriers is more satisfying than her finally getting into a relationship. More so because Williams makes you become invested in these characters, especially if you’ve read previous books. You become attached and protective and want good things to happen in their lives. Watching Scarlett stubbornly fight against her feelings for John is heartbreaking but enthralling reading. Her complicated past and her ideals are hard to ignore, she knows what she wants from life and when things start to affect that she doesn’t know how to deal with it other than run. Together though they are a wonderful pair; John is patient and kind hearted, letting Scarlett work out her feelings for herself, but while also giving her the push she needs to embrace it. It’s not all emotional baggage and intimacy issues though, Williams once again draws the fours lives together impeccably and mixes in enough drama and joy with romance and simple pleasures to keep the story flowing and your interest high from start to finish. Because it is a continuation, we also get to see what is happening in the lives of the others, where their stories have ended up and what they have been doing. One thing I love about Williams is that she has a way of writing that even as you’re reading and falling in love with one character, she is piquing your interest about another. With The Pitch it followed Maddy’s story, but as I finished reading I was so eager to read about Scarlett’s life; now, having finished this one, I am looking forward to the final story with Cate. 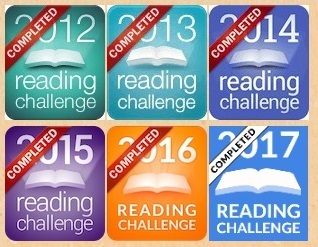 Not only is this a clever way to pull readers through the series, but it allows a gradual introduction to every one of the girls, from various character perspectives as well as their own. I can’t wait to finish the series and fall in love all over again with these four fantastic women and the interesting and complicated lives they lead.